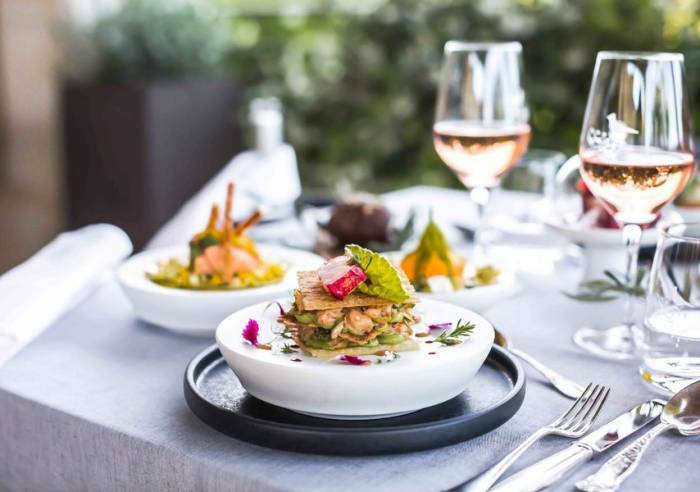 Enjoy some gastronomic Mediterranean-inspired, seasonal cuisine, created by chef, Christophe Renaud. Warm local asparagus, light, pistachio flavoured maltaise sauce, René-style millefeuille with bourbon vanilla, violets and blackcurrants. 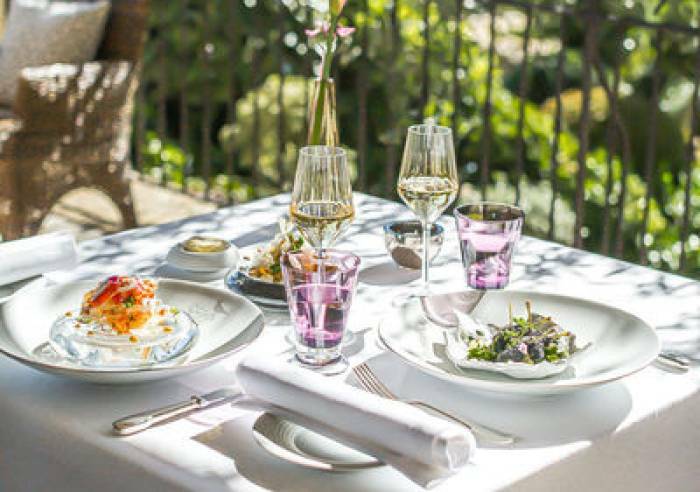 La Coquillade Wine Estate, set amongst the vineyards, serves generous, refined cuisine. Traditional, yet modern, atmosphere. Terrace with panoramic view overlooking vineyard and the Luberon. Quiet, with beautiful countryside and great food. A la carte: from 56 €. Closed monday at noon, tuesday at noon, wednesday at noon, thursday at noon, friday at noon and saturday at noon.